Container to freeze the water in – aluminum pie plates are perfect! 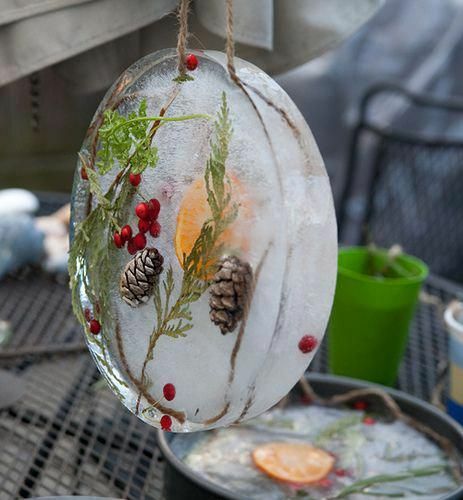 Hang this ice art from a tree branch in a sunny spot where the sun will shine through and slowly melt it away, transforming your creation throughout the day. Warning: This recipe will quickly become a staple on your nature crafting menu! Join Us on the Pathway! Subscribe to our newsletter to keep up with our work, and for ideas and inspiration on nurturing stewardship and kinship in children.